Producer Yamamoto says: "He’s a throw character so we’ve buffed his throws. With moves like his Weak SAB, his front step, and being able to do a super cancel from a 1-frame throw, he should be able to fight like a real thrower." Making a return to KOFXIII, Clark Still has become a rather interesting and powerful character to utilize. Clark is one of the residential grappling characters so to speak, having very great range on his normals, damaging juggle combos, and most noticeably, very devastating grabs. Clark's Super Argentine Backbreaker (hcf+K) have unique purposes to them, depending on which kick button is pressed. If the B is used, Clark will have a lot of start up but he will also have autoguard. This version can be used for placing the opponent into a really bad situation for recklessly attacking. 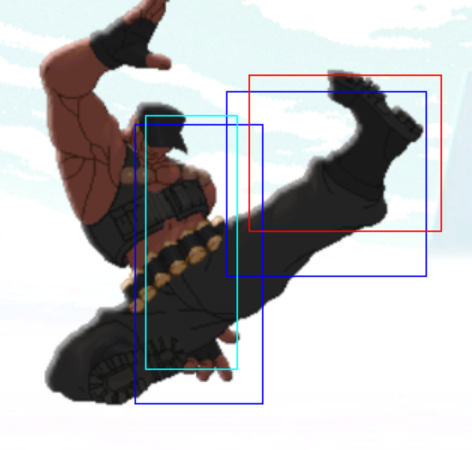 The D version of hcf+K is a 1 frame command grab that can be comboed into or used as a powerful option for punishing other characters moves after blocking. Another aspect to highlight is that Clark hits rather hard, especially when it comes to juggles combos and punishment. Clark's A version Gatling Attack can be used to launch the opponent into the air for elaborate combos if the player wishes to hit confirm into the move or punish with it, but it is unsafe on block. The EX version will blow up players for using badly timed projectiles. Clark is a very powerful character with a relatively simple game plan. Clark also can make use of CD attack pressure quite easily, making him very scary from up close, especially as far as the corner pressure is concerned. It is important for the player to maximize on their combo damage, punishes and command grab usage when they are applicable in the match. The player needs to rely on carefully maximizing on all combo options due to having a rather smaller move set. far A: 25 damage, cancelable, hits mid. far B: 30 damage, cancelable, hits mid. far C: 80 damage, hits mid. far D: 80 damage, hits mid. s.C: 40+38 damage, cancelable, hits mid. s.D: 70 damage, cancelable, hits mid. d.A: 25 damage, cancelable, hits mid. d.B: 30 damage, chainable, hits low. d.C: 70 damage, cancelable, hits mid. d.D: 80 damage, cancelable, hits low. j. A: 45(40) damage, hits overhead. j. B: 45(40) damage, hits overhead. j. C: 72(70) damage, hits overhead. CD: 75 damage, cancel-able, hits mid. j.CD: 90(80) damage, hits mid. Death Mountain Buster = (b/f+C/D) 100 damage, can be broken, causes a hard knockdown. Death Lake Drive = (Any direction except up or down+C) in air 135 damage, causes a hard knockdown. Jet Uppercut = (df+A) 65 damage, cancel-able, hits mid. Super Argentine Backbreaker or SAB = (hcf+K) - B version has some autoguard/guardpoint frames at the startup, while the D version doesn't have any autoguard frames. The D version has a 1 frame startup but the B version has a slower startup. 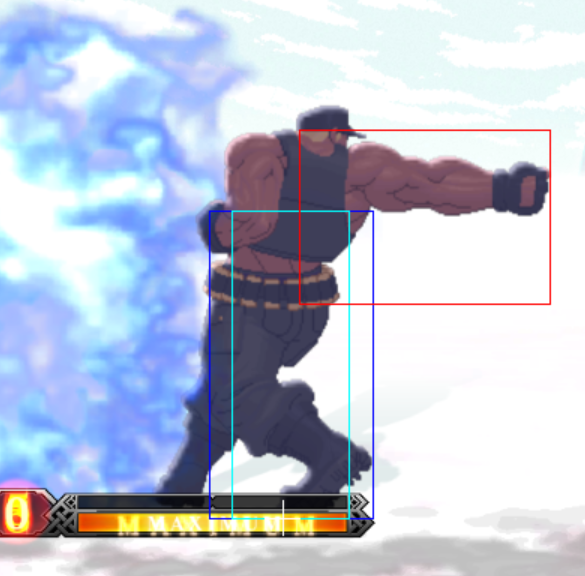 (EX) = hcf+BD EX has 1 frame of startup and has amazing range, almost exactly the same distance as Clark's standing B will almost hit the opponent. Vulcan Punch = [A]/[C] - When done midscreen on a grounded opponent, the Ex Vulcan Punch will hold the opponent close enough to free cancel into his hcf K. His command grabs are the only follows after the Ex Vulcan Punch without drive canceling. On the downside it isn't safe on block, you are free to be punished with any variety of quick supers or EX's. And on block you cannot combo into EX Vulcan. Basically pretend this move doesn't exist. (EX) = b~f+AC Goes through all projectiles including Super Projectiles or EX. His invincibility ends once his active frames begins for all non-projectile hits. -Has no invincibility, definitely not a good idea to do a raw Neomax. s.D / s.C, [HD] s.C, (Ex) hcb x2+P DM, [MC] Neomax (hcb x2+BD). 745 / 850 damage. s.D / s.C, [HD] s.C, Ex hcf P / (EX) hcb x2+P, [SC/MC] Neomax. 745 ~ 900 damage. 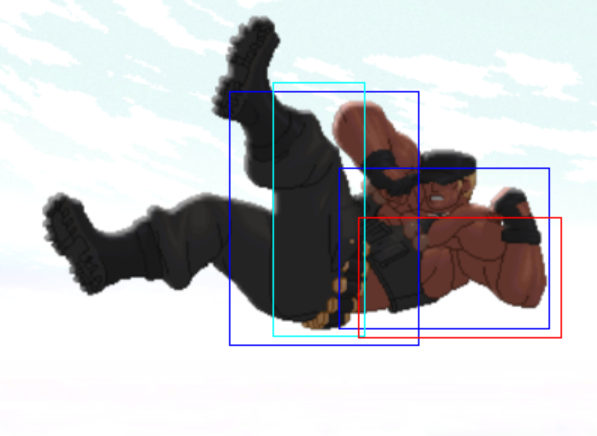 Clark is one of the few characters who can do a deep jump CD (Blowback) and then do another stand CD as he lands if his opponent is blocking due to his long block stun. This takes off roughly 25% of their guard meter. What's more is that Clark can cancel a s.CD with his step (f BD) he could follow that up with B SAB / air throw mixup. For his jumping grab the ticks I listed above will work, just jump and grab them. The key to all of this is to not be predictable, experiment and find your way of using Clark. 1.) st. A > st. A (L) - 2 frame gap between st. A and st. A. St. A whiffs on crouching opponents, except on Daimon, Raiden, and Maxima. 2.) st. A > cr. A (L) - 2 frame gap between st. A and cr. A. St. A whiffs on crouching opponents, except on Daimon, Raiden, and Maxima. 3.) st. A > st. B - 3 frame gap between st. A and st. B. St. A whiffs on crouching opponents, except on Daimon, Raiden, and Maxima. 4.) st. A > cr. B (L) - 2 frame gap between st. A and cr. B. St. A whiffs on crouching opponents, except on Daimon, Raiden, and Maxima. 5.) st. A > cl. C (L) - 2 frame gap between st. A and cl. C. St. A whiffs on crouching opponents, except on Daimon, Raiden, and Maxima. 6.) st. A > cl. D (L) - 2 frame gap between st. A and cl. D. St. A whiffs on crouching opponents, except on Daimon, Raiden, and Maxima. 7.) st. A > cr. D - 4 frame gap between st. A and cr. D. St. A whiffs on crouching opponents, except on Daimon, Raiden, and Maxima. 8.) cr. A > st. A - 3 frame gap between cr. A and st. A. St. A whiffs on crouching opponents, except on Daimon, Raiden, and Maxima. 9.) cr. A > cr. A - 3 frame gap between cr. A and cr. A. 10.) cr. A > st. B - 4 frame gap between cr. A and st. B. 11.) cr. A > cr. B - 3 frame gap between cr. A and cr. B. 12.) cr. A > cl. C - 3 frame gap between cr. A and cl. C. 13.) cr. A > cl. D - 3 frame gap between cr. A and cl. D. 14.) st. B > st. A (L) - 1 frame gap between st. B and st. A. St. A whiffs on crouching opponents, except on Daimon, Raiden, and Maxima. 15.) st. B > cr. A (L) - 1 frame gap between st. B and cr. A. 16.) st. B > st. B (L) - 2 frame gap between st. B and st. B. 17.) st. B > cr. B (L) - 1 frame gap between st. B and cr. B. 18.) st. B > cl. C (L) - 1 frame gap between st. B and cl. C. 19.) st. B > cl. D (L) - 1 frame gap between st. B and cl. D. 20.) st. B > cr. D - 3 frame gap between st. B and cr. D. 21.) cr. B > cl. C - 3 frame gap between cr. B and cl. C. 22.) cr. B > cl. D - 3 frame gap between cr. B and cl. D. 23.) AC(x4) > st. A - 4 frame gap between AC(x4) and st. A. St. A whiffs on crouching opponents, except on Daimon, Raiden, and Maxima. 24.) AC(x4) > cr. A - 4 frame gap between AC(x4) and cr. A. 25.) AC(x4) > cr. B - 4 frame gap between AC(x4) and cr. B. 26.) AC(x4) > cl. C - 4 frame gap between AC(x4) and cl. C. 27.) AC(x4) > cl. D - 4 frame gap between AC(x4) and cl. D.
Clark's best pokes are s.D or s.C. S.D is a lot faster and both can be used to HyperDrive bypass into either Grab Super or EX Grab. S.C is a lot slower. It's simple to setup and you can do it off of any of his normals but for me it works best with s.D/s.C/or c.B: Basically you hit them and then hit Hyperdrive (B and C) and at the same time either EX Grab (HCF+B/D) or either grab super (HCBx2 A/C) and follow through with your Neomax. Hop A, crouching B then combo into D SAB or go from crouching B into crouching A and combo into A Gatling or SAB or Hyperdrive mode. Hop A, crouching B, standing B. If standing B hits you can go into Hyperdrive mode or EX Gatling or A Gatling or just do EX SAB and the followup drive cancel into Grab Super. If they block standing B you can do a crouching D or hop A or hop CD or just try to bait them. Generally don't do B SAB on their wakeup. Never be predicable with it or you are going to get punished bad. Pretty much every character has something they can do on wakeup to counter B SAB and a lot of players will counter once they catch on to you. Maybe try to bait them to do a wakeup attack and punish. Jumping C grab is an option. S.C or s.D or solid meaties to use on their wakeup. Alternate between CD pressure, and dash in c.B and c.A and combo into whatever. Using Hop A is a good pressure tool. Never underestimate Hop A, crouching B, standing B pressure. Using Clark's best pokes to keep them grounded and force them to do what you want is key..
Clark's CD is really good but the problem is it's slow and will get beaten out by faster air attacks like Iori's jumping B for example, especially if you're predictable. His best overall jump ins are short hop A which is fast, will beat and/or trade with a lot of pokes meant to keep Clark out, and gives you a lot of hitstun to combo into anything. Neutral hop D will AA any jump in if you have the reaction time and it's very fast. It's not advisable jumping in with either B or D because they will often whiff on crouching standing opponents and the risk is often greater than the reward. This page was last edited on 15 December 2014, at 19:45.